In a shocking twist, the biggest news about DHA Valley Islamabad has been delivered by Bahria Town through a print advertisement today. According to the information shared in this ad, Bahria is now offering alternate plots to the owners of 5- and 8-marla residential plots in DHA Valley Islamabad. 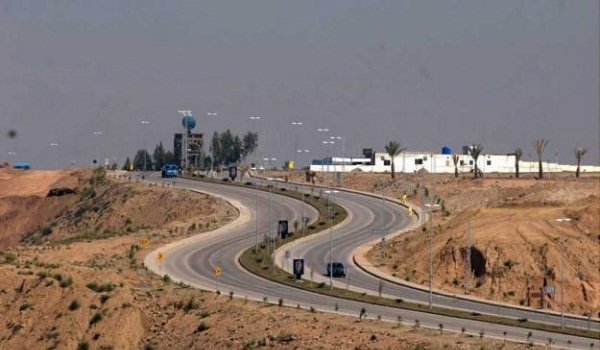 The developer has announced that it will adjust 7,000 affectees in Bahria Town Karachi and 3,000 in Bahria Town Rawalpindi’s Phase 8. This, in other words, means that applicants will be served on a first-come, first-served basis. Moreover, the offer is for a limited time and the last date to apply is November 15, 2015. Those DHA Valley members interested in availing this offer can download the Transfer Application Form from the link below and submit it in the nominated offices. The forms can also be couriered to the respective office. Computerised balloting will be done later (no information has been shared about the exact date) to determine who the successful applicants are. This ad also states that only civilian members of DHA Valley are eligible to apply for the alternate plots. Right click and Select 'Save Target As' to download Transfer Application Form. While the ad does deliver good news to those DHA Valley plot owners who can’t wait any longer to get possession, it also tries to pacify the rest of the affectees by sharing possession details of DHA Homes, which is due in December this year. Seemingly, this ad intends to sound less like a direct call from Bahria Town and more like an arrangement agreed upon by Bahria Town, Habib Rafique Pvt Ltd, and DHA in collaboration with one another. Even so, the developer couldn’t help but market Bahria Town Karachi (BTK) by sharing actual images of its Trafalgar Square. In addition to that, there is also a description of BTK’s grandeur at the bottom right corner. I do appreciate how Bahria Town has successfully kept this information from leaking, as it would have failed to create such a huge impact otherwise. Bahria Town has not spoken of the additional charges, if there are any, which have to be paid for plot transfer. This could have been intentionally left out. Per October 2015 stats of Zameen.com, the average sale price of 5-marla residential plots in DHA Valley Islamabad is PKR 850,000. The rates of same-sized plots in BTK and Bahria Town Rawalpindi are PKR 1,882,655 and PKR 2,388,349 respectively. While I hope that DHA Valley owners get compensated without having to dole out any additional money, it doesn’t seem like this will actually happen. Bahria Town should, however, keep the additional rates within a reasonable limit and offer a fairly convenient payment plan. I would like to reiterate this: ideally, if DHA Valley affectees are being compensated, they shouldn’t be required to pay any charges, not even the transfer fee. What should DHA Valley owners do now? After the frustration and anger DHA Valley investors have dealt with for all these years, this seems like a much-awaited bailout. However, those who don’t agree with bailing out at this point still must realise that DHA Valley is a long-term investment. Owners who can’t wait any long should avail this opportunity. They should also bear in mind that alternate plots on offer in BTK and Rawalpindi Phase 8 will be located in less-than-ideal locations. What are your thoughts on it? Let me know through your comments below.